What happened to the good old granite counter top? For many years, granite was the number one choice for kitchen counter tops, but in the last 10 years, less and less of it is being used, to the point that you hardly see any granite tops, especially in European kitchen designs. The good news is that there are many great alternatives! 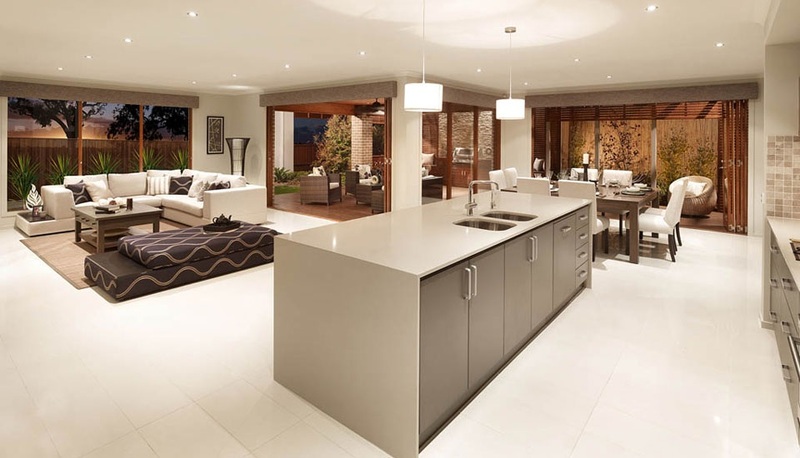 The fastest growing segment of the counter top business is quartz – brands like CaesarStone, Silestone (Cosentino), Zodiaq (Dupont) and many others, from around the world are gaining in popularity for years now – they feel like stone but are stronger and maintenance free. These even fit well counter top scales like this. Non-granite stones, like marble are being used more, especially with the introduction of new sealers that are making them a bit more practical. 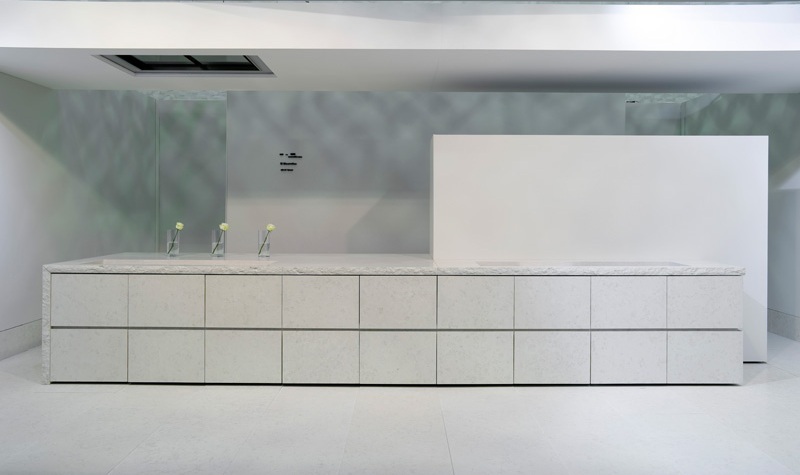 Then there are glass counters, stainless steel, ceramic and unlike in the US, in Europe you still see some solid surface counters, such as Corian. 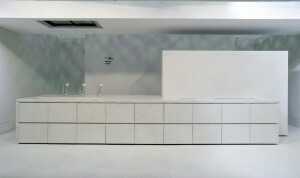 I would love to know how a glass counter top stands up to day to day use. It’s is obviously beautiful in a photograph, but is it something the average home owner would really want to consider? Mark – these are tempered and do hold up very well. obviously, they can be scratched, but so are other counter surfaces. Not sure who the “average home owner” is but if they’re looking for something different, and like the glass counters, this could be it. 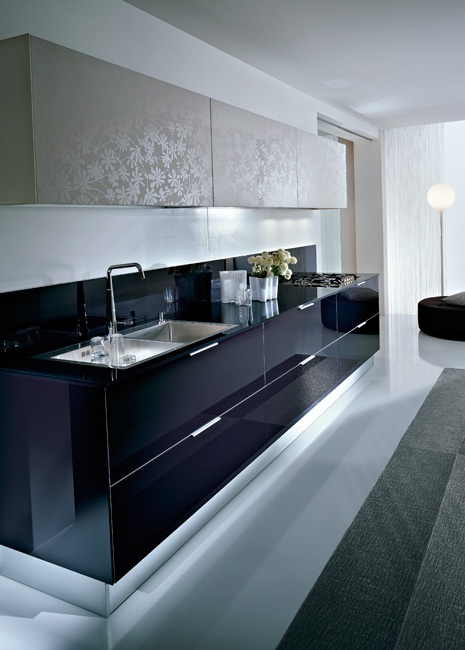 Otherwise, the quartz surfaces are still the most durable. Great photo’s i love it..
Nice post… there really are more options these days when it comes to kitchen design. Thanks for sharing! Amazing design! Thanks for the photos! I find your posts very interesting. For a non-design person, you’re entries are very helpful. My family is renovating our kitchen and our architect is recommending Corian for the countertop. 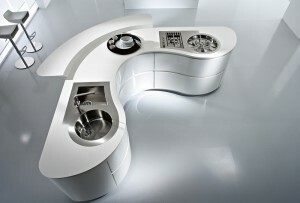 I am not a design person so I want to ask, how important is it to choose which countertop to use? And are there any alternatives for Corian or solid surface counter, as you said? Any brand you would recommend? Kitchenguy, Thank you very much! You mentioned in your article that Caesarstone, Silestone and Zodiaq are brands that we may look into for quartz counter, luckily we found out that there are suppliers of the said brands in our country. Any other brands you recommend we can check? Anton – not sure where you are located, but just Google ‘Quartz counter top surfaces’ and see what’s available in your area. Kitchenguy, I am in Malaysia. Thanks for the advice.